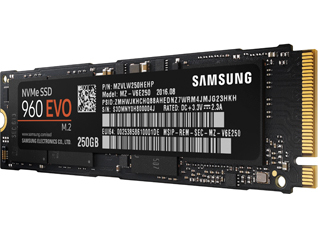 960 EVO NVMe SSDs with a new Polaris controller significantly outperform our SATA SSDs with exceptionally fast sequential read/write speeds up to 3,200/1,500 MB/s and random read/write speeds up to 330/300K IOPS, respectively. 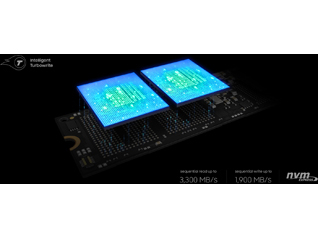 They also support PCI Express® (PCIe) Gen 3 x 4 lanes to provide high bandwidth and low latency, making them perfect for business professionals who need cutting edge-performance for high-end computing. 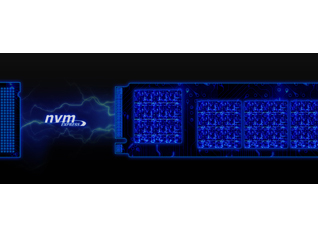 Samsung’s intelligent TurboWrite technology helps to maximize your computing ability, accelerating write speeds above and beyond the already exceptionally fast speeds of NVMe. This constantly monitors and works to maintain ideal temperatures to protect the integrity of your data and safeguard from overheating. 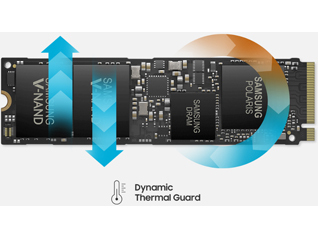 When temperatures rise above an optimal threshold, the Dynamic Thermal Guard automatically throttles them down to protect data while maintaining responsiveness. 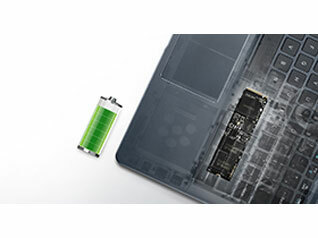 Secure your investment with a 3-year limited warranty up to 100TBW. 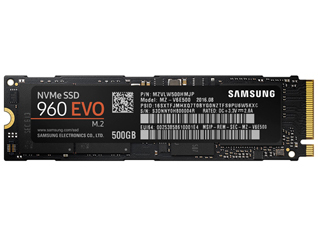 The 960 EVO Series also minimizes performance degradation over time, in order to provide sustained performance for high-end business use. 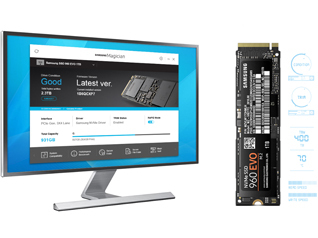 With the newly upgraded Samsung Magician software solution, you get advanced functionality to manage, monitor and maintain your 960 EVO. Magician provides personalized firmware checking and additional functions tailored for individual drives. It even updates the firmware automatically to make sure that the drive's performance stays up to date. 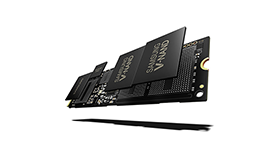 Samsung's proprietary V-NAND flash memory helps to overcome the limitations of conventional planar NAND architecture. It stacks 48 cell layers vertically over one another rather than trying to fit itself onto a fixed horizontal space, in order to provide high density and performance with a small footprint.